While we in the West have been concerned with US-funded ISIL and the US-exacerbated ebola epidemic, Hong Kong has been erupting in massive political protests (background) which bear the hallmarks of (you guessed it) US-government provocation. 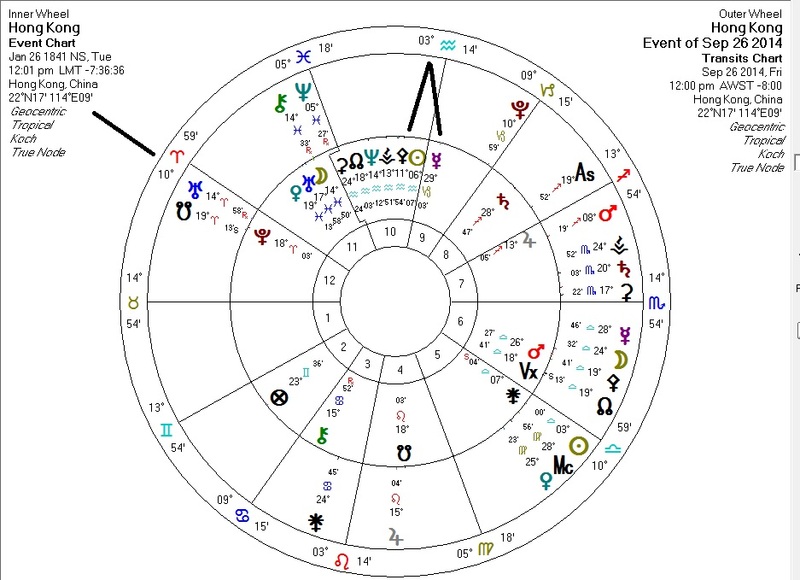 The astrology for the day of the start of the current wave of protests is interesting. Transiting South Node conjunct HK Pluto: an impending loss of power (to the Chinese?). Transiting Chiron conjunct HK Moon (ruler of Third House): pain/injury (Chiron) to the people (Moon) triggering vocal expression (Third House). Note that on the "natal" chart there's a powerful Sun/Mercury/Pallas/North-Node conjunction. As long as this chart remains in effect, Hong Kong will resist all attempts to reduce its autonomy. Transiting South Node conjunct handover Saturn (ruling the Tenth): loss or weakening of authority. 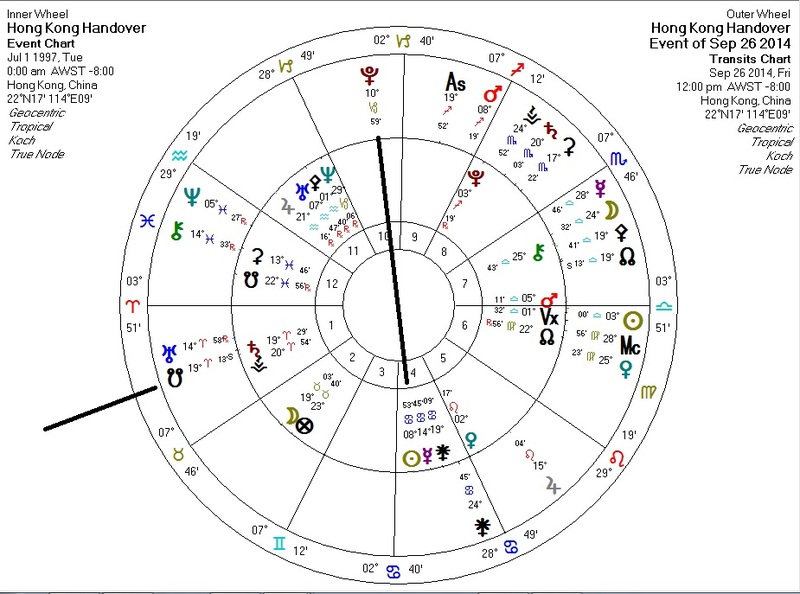 Transiting Pluto opposite handover Sun: an existential threat to China's control over Hong Kong? At least from these two charts, I don't see a clear winner in the battle for control.